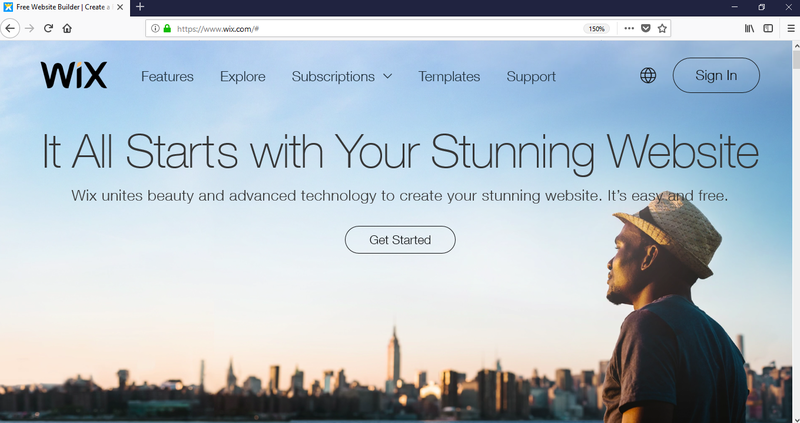 Welcome to How to Build A Website – The Ultimate guide. In this guide I’ll be providing you with a step by step overview of how a website works, and how you can build your own website successfully. First on our list for learning how to build a website, is domain names. The first thing you need to do to build a website, is buy a domain name. A domain name is the address visitors type into their web browser to visit your website. For example, our domain name is squareinternet.co. What is the purpose of the domain? What is the domain for? If it’s for a business website, use your company name with some form of extension for your domain (mybusiness.co.uk or mybusiness.agency). You don’t need to buy lots of domains or buy up every domain relevant to your company name. It’s a common myth that a domain on its own can attract traffic, this just isn’t the case! Think of your domain name as your ‘digital address’. This is where your website lives on the internet, so to speak. When someone visits your digital address, their browser will load whatever is waiting on the other end (in your hosting account). All someone needs to do to access your website, is visit your domain name. If you have hosting attached to it, and a website on that hosting, your website will load for any visitors landing on your domain. You can purchase a domain name from most major hosting providers. We would recommend using either GoDaddy or Siteground, depending on how technical you are. 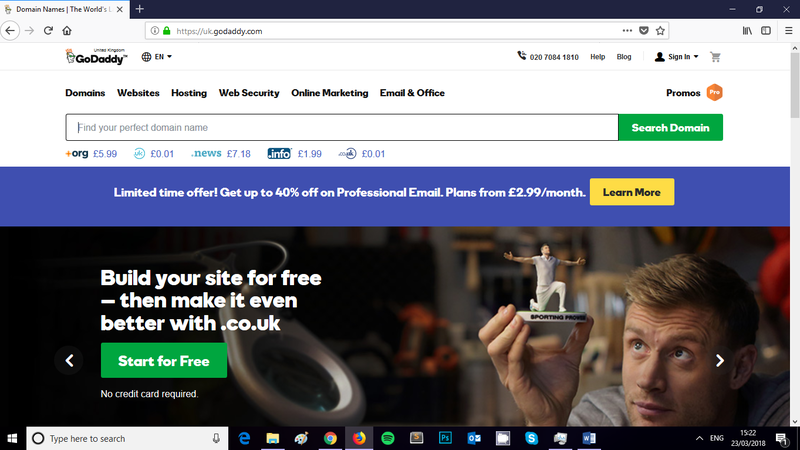 If you are a small business owner who is unsure how to build a website, we recommend you visit GoDaddy and purchase your domain with them. Their website and online store is simple, intuitive and easy to use. They also have around the clock 24/7 support who are good at walking you through the basics if you get stuck anywhere. For example, if your business is roofline replacement, you can easily use their domain search tool to find something appropriate for the roofline trade. The tool shows you which domains are available, and also which extensions, so you can check this stuff before registering on companies house with a domain that isn’t available. If you’re slightly more technical, or experienced with hosting providers, Siteground might be a better choice for you. 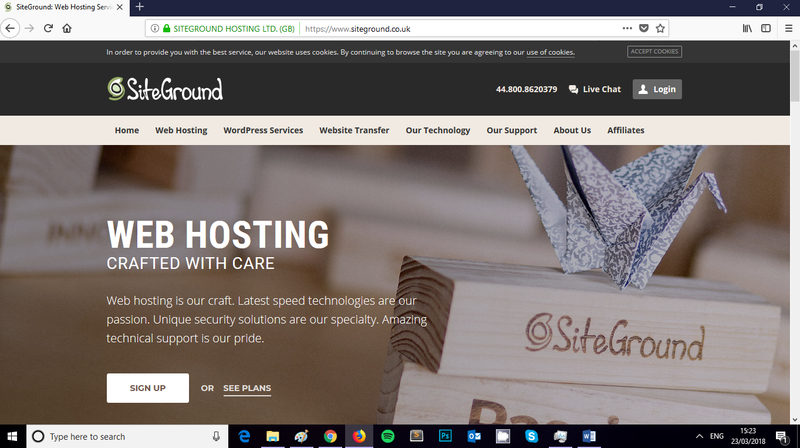 Siteground are renowned for having faster, higher performance hosting plans, but their website interface is a little bit dated and not friendly to beginners or business owners without a technical background. Think Apple vs Microsoft. Should I get it or let my developer? This is entirely up to you! Ultimately, it’s your domain. There is a common misconception that if a developer purchases a domain for you, they own it, this is incorrect. If you do decide to have your developer purchase your domain for you, ensure that they purchase it in your name, listing your address and details. If you’re still unsure, check out the ICANN website for official documentation on registering a domain. ICANN is a not for profit body that accredits hosting providers and is the go to body for any domain disputes. If you make sure the hosting provider you choose is ICANN accredited, if for any reason you have a domain dispute down the line that you can’t simply resolve, you can refer your developer to ICANN who will help you resolve it. Next step in our How To Build A Website guide is hosting. The easiest way to think of hosting is that it’s a storage and access system for your website. On a computer your files are stored locally in folders. On the internet, your website will be stored on a server, provided by your hosting provider. These files are stored on your hosting package, and when someone visits your domain, they are downloaded and rendered by whichever browser is being use. Alongside storage and access for your website, a good hosting provider will provide you with a suite of tools for managing and maintaining your website, generally through a CPanel. 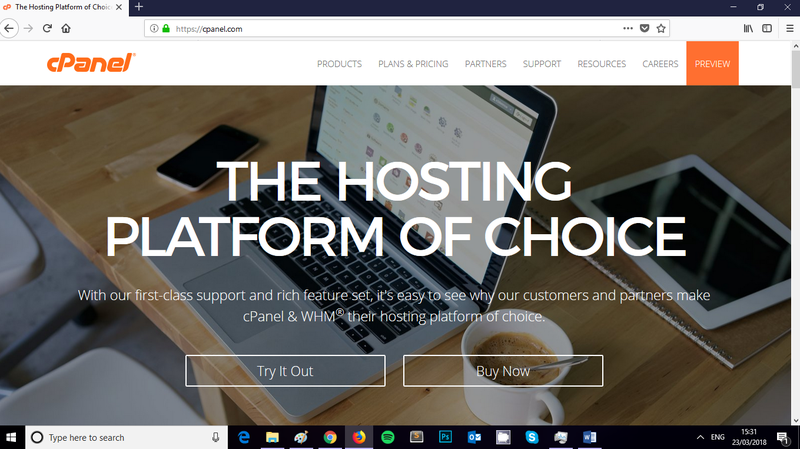 When choosing a hosting provider, we would highly recommend you opt for one that is powered by CPanel, this is something your web developer will need access to, to help you maintain and grow your website. There are a lot of hosting providers on the market, however I would recommend that you choose either GoDaddy or Siteground. 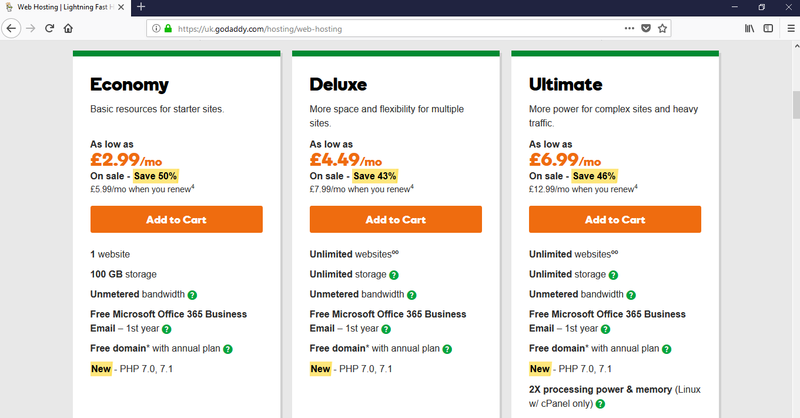 GoDaddy are the best all-around option for simple small business websites. If you don’t have a technical background, or a technical person on your team, they are your best bet. They offer affordable, flexible hosting plans that grow with your business and good 24/7 support. Siteground would be my recommendation if you have some technical background or a technical person on your team. You’ll be able to take advantage of better performance and technical flexibility, at the cost of a harder to use (relatively) customer portal. With so many hosting providers on the market, and almost everyone having an opinion about their preferred hosting provider, how do you figure out which provider is truly right for your business? 24/7 support. It would be nice if your website only went down during business hours, but chances are if it does happen, it will be at an inconvenient time. As such, you’ll need to make sure your hosting provider offer 24/7 support, so you can contact them if your website goes down out of hours. Are they affordable? If you’re just getting started with your business, you’ll want to keep your costs low. 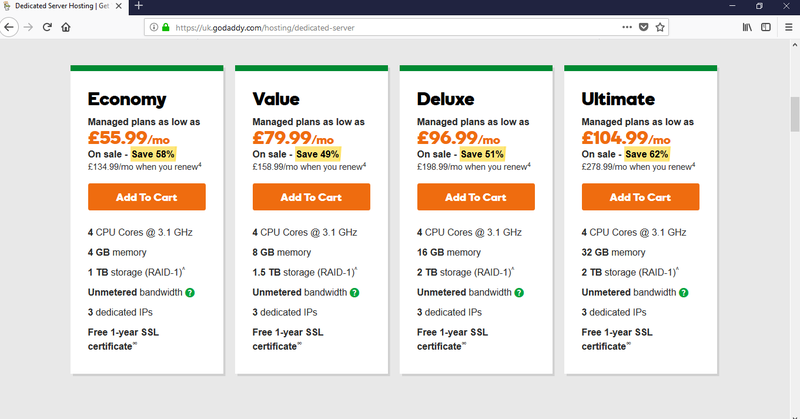 This doesn’t mean you should search for the lowest price hosting, but it does mean you should compare the market and get an idea of where price meets quality. Do they come recommended? Does the company have positive reviews on trusted review platforms? Are you aware of business owners personally who have used them and had a positive experience? Does your developer recommend them? You are paying your developer for technical expertise that you don’t have, so it would make sense to consult them and see if they recommend the hosting providers you’re looking into. Ask your developer what you need! We work with many businesses who already have a hosting plan. Sometimes, this makes things more difficult. For example, if they have picked a provider who don’t have a CPanel, tasks that are usually routine take a bit more time, which translates into a higher cost for you. What PHP version do they support? PHP Version 7 is a lot faster than 5.6, which was the standard for many years. Make sure you pick a host who gives you flexibility on your PHP version and who offers the latest version as it becomes available. Do they offer CPanel hosting? CPanel has been the industry standard for web hosting since 1997. 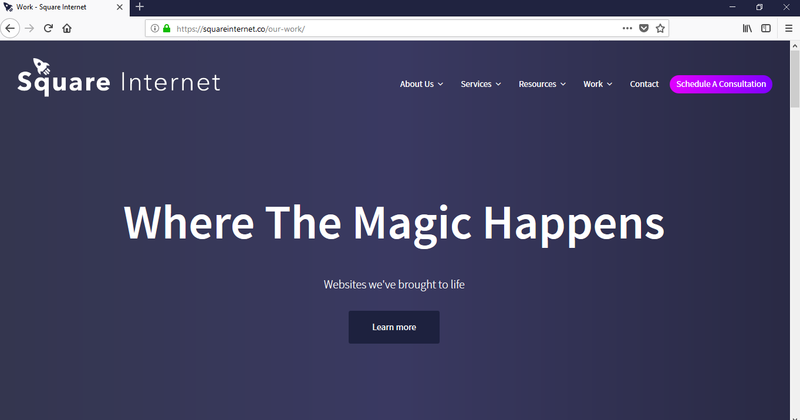 The CPanel interface provides a simple, easy to use interface for managing your hosting and is what your developer will use to maintain your website. Are all hosting plans created equal? Shared hosting. This is the most commonly used hosting plan for small businesses. Your website will be on a shared server with other business websites, sharing resources amongst other things. Performance and speed will be moderate and this is a good option for a simple website, or if you are just starting out. Is all shared hosting the same? All shared hosting plans are different. Shared hosting plans offer different amounts of storage, processing power, resources and even the amount of domains and websites you can host. Virtual private server. A virtual private server is a step up, so to speak from shared hosting, with dedicated resources and more root server access. Think of this as a middle ground between shared hosting and a dedicated server. Dedicated server. With this option, you are the only website on the server. Dedicated hosting is very high performance and ultra quick, but there’s a large price tag attached compared to the other options on the market. Shared hosting plans will cost you between £5-15 per month for a small business, a good dedicated server will cost you hundreds per month. Next on How To Build A Website – The Ultimate Guide, content management systems. A CMS is a content management system, which is the system you will use to edit and maintain your website. A CMS allows you to edit your website without touching any of the code. Once logged into a CMS, you are presented with a front end interface that you can use to edit and configure the various pieces of your website. Think of a more complicated, fancier version of a Word processor (with lots more options). The three most popular CMS systems are WordPress, Joomla and Drupal. WordPress powers 30% of all websites on the internet, and powers 60% of all websites that use a CMS. Unless you are from a technical background and have some particular affinity with Joomla or Drupal, WordPress is the best choice for you. For a full overview of why you should choose, WordPress, I recommend you check out my article Why WordPress Is The BEST Platform To Build Your Business or Startup Website On. What CMS options are there? The CMS market is primarily dominated by three players, WordPress, Joomla and Drupal. According to Website Setup, and w3 Techs: WordPress has 60% of the total CMS market share. According the figures above, 4.6% of websites with a CMS use Drupal. So if you intend on having a professionally designed website with a CMS system, as opposed to on a closed platform like Wix or Squarespace (more on that shortly), Drupal has a small market share. With a market share of 6.6%, Joomla powers slightly more websites with a CMS than Drupal. 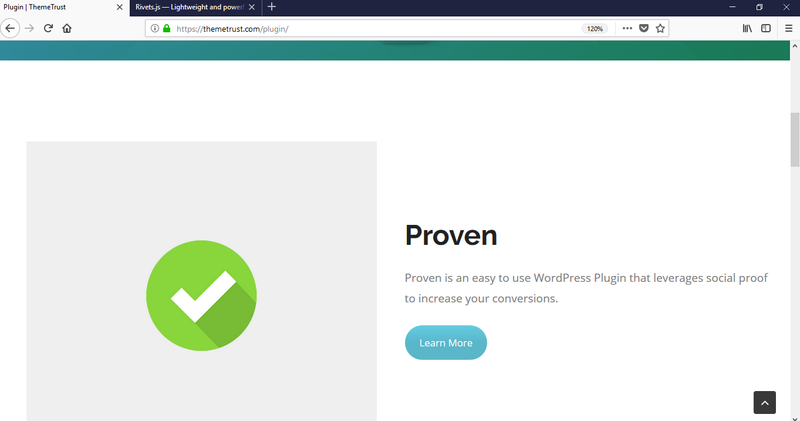 We wrote quite a lengthy comparison of the three CMS platforms in a post over on Medium, Why WordPress Is The BEST Platform For Your Small Business or Startup, so if you’re interested in the details and how they scale, take a look through that post. WordPress is free to install on any website. It’s the easiest to use CMS (check out this post from a Joomla community expert for example on it being difficult). It’s the most cost effective CMS, because it has the most developers. It has the largest plugin library of free and paid plugins for growing your website. WordPress is the best option for scaling a website (for details see my article above on Medium). Tools like Visual Composer and other page builders make it easy to wireframe new websites or designs quickly. 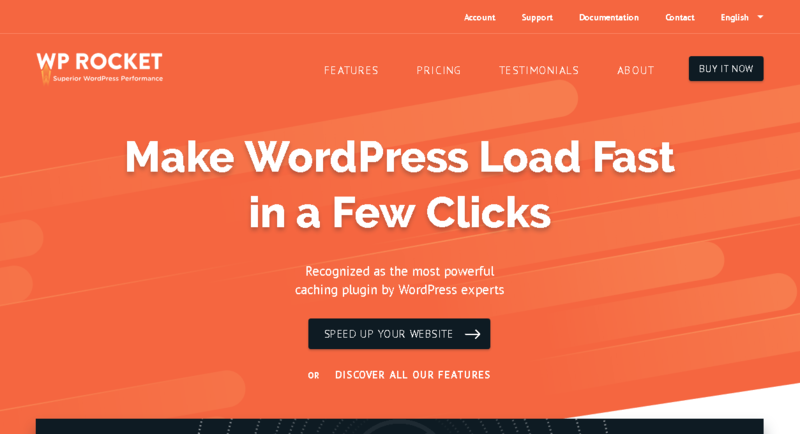 There is a huge amount of free content and tutorials for WordPress out there, so you won’t get stuck on the simplest tasks and have to pay someone else. WordPress has the largest number of themes and frameworks on the market, so the options for building your website are unlimited. Can I give my team access? Most CMS systems have some sort of user access panel. With WordPress, it’s easy to give members of your team access to the CMS. 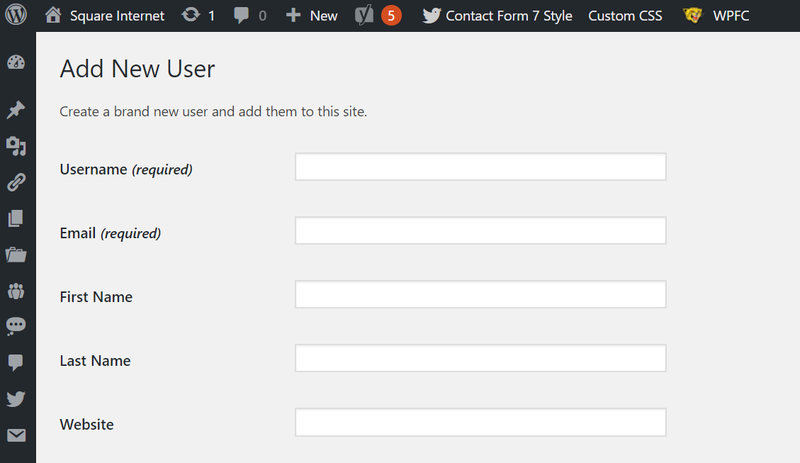 You can create new users and assign them permissions, which designate what they can and can’t do on the website. For example, you can delegate access to just create blog posts. You can also provide access for someone to create and edit all blog posts, thus designating an ‘Editor’ permission. You can also give out full access to your WordPress CMS in the form of an admin permission, this is generally what your web developer would have so they can easily edit things in the back of the website, like tweak code or make fixes that aren’t doable through the CMS. WordPress is great in that you don’t have to touch a line of code if you don’t want to, but the option is still there for your developer to do so from the Editor section. Website structure refers to how your pages connect to each other, and how users visit and move through your website (called user journey). If your website has a simple, easy to use structure, visitors are more likely to come back or ‘convert’ as leads or sales. How will these pages link together? What will your menu look like? Which pages will be accessible via your menu, and how? Where will your footer come into play, and what content will it display? The most common method for structuring a website is to create a simple sitemap. A sitemap is a simple visual overview of the pages on your website and how they link to each other. A sitemap will also cover your site navigation (main menu) and website footer, allocating which pages where go where and the hierarchy they fall under. You’re now one step closer to understanding how to build a website! Next in How To Build A Website – The Ultimate Guide, we have website builders. Website builders are marketed as cheap, ‘do it yourself’ solutions for building your own website. Unfortunately, generally their marketing is superior to their offering. Here are some reasons you should avoid using a DIY builder for your website. Their marketing is generally a lot better than their offering. They provide limited functionality that cannot be customised outside the confines of the platform. They look cheap. First impressions count, if you look cheap, this is how you will be perceived by your customers. 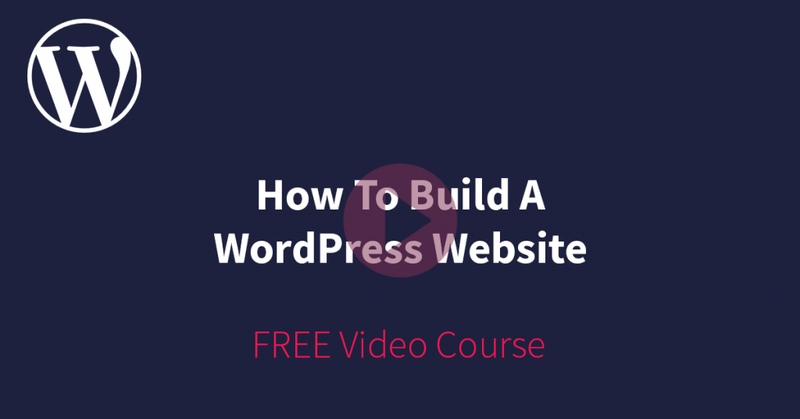 You will spend more time trying to build your website using a DIY builder, than you would learning the basics of WordPress. In most cases, they own your website and you are unable to move or replicate your website from their platform. Take a look at Wix’s heavy terms and conditions, for example. What about using Yell or managed service providers? The difference between WordPress and managed website providers like Yell is that WordPress is open source, or you could say it’s an ‘open CMS’. This means you own your website and the content and are free to do with it as you choose. Yell is what I would refer to as a ‘closed CMS’. Yell own your website and you are forbidden from duplicating it elsewhere, or moving to a third party. Not only that, but you can’t access the source code anyway. This makes scaling your website using a managed website provider or do it yourself provider not viable. No how to build a website guide would be complete with sections covering design and development. There are two parts to building a website. Designing it, and developing it. Design, as you probably guessed, covers how everything looks. Development, determines how everything works and is structured. The design of your website is very important. Because there are so many websites on the web now, each competing with one another, if you want to get anywhere, you need to make sure your website is well designed. Less is more when it comes to good web design. Use whitespace, don’t cram content into every single bit of screen. Be consistent in your design. Try not to copy one website too much. Taking inspiration is fine, but define your own style. To keep your bounce rate as low as possible. Well designed websites have higher conversion rates. A well designed website generates a better first impression with prospective customers. The quality of your design can suggest that you are either a cheap or premium provider. How do we design our website? If you were to reference any well designed website, chances are they use whitespace effectively. Have you ever heard the phrase, less is more? This is white space in practice. White space is the area on your website with no content on. White space doesn’t necessarily have to be white, it’s just areas of the screen without content. White space is one thing many don’t learn when covering how to build a website. Effective web design is about utilising white space effectively. If you try to cram content into every inch of space on your page, nothing stands out, and nothing looks good. Take this website below for example, which I’ve included as an example of bad design. Nobody has time to read through hundreds of words of content on every single page on your website. When learning how to build a website, you need to understand that it’s your job to make your website easy to navigate and easy to understand for a new visitor. Can a new visitor quickly and easily identify who you are, what you do and how you do it? Below I’ve provided some great examples of white space in action. The effect of white space in action is that it’s easy to quickly and clearly grab a visitors attention and impart key information to them. Pick a primary and secondary colour to use on your website and stick to them. Allocate 1 or 2 fonts for your website and assign them to key sections (body, headings, menu, header, footer etc). Use design templates for key sections to ensure they look the same and maintain a consistent design. Consistent design will help to make your website intuitive to use and provide a simple user journey. For example, if all buttons are in red, users will know they can use them to move around your website. Typography is something anyone learning how to build a website should be aware of. Good typography can make or break a good website design. Google Fonts is going to be your new best friend. Why? Because it’s a free collection of tons of free web fonts that can be easily integrated into any website. There are designers who can talk all day about typography and the differences a minute increase in font size or font weight can achieve (and I wouldn’t disagree with them, I love typography!). For the purpose of this guide however, let’s keep it simple. There are two types of typography used on the web, Serif and Sans Serif. Serif fonts have extending features called serifs at the end of the strokes. Think Times New Roman. Sans Serif fonts do not have these extending features. I like to think of them as ’rounded fonts’ vs ‘sharp fonts’. It’s an easy way to distinguish between the two without getting too technical. Rounded fonts are good for a friendly, warm approach. Sharper fonts can be used for a professional, or authoritative feel. Avoid using black, it’s proven to be bad for conversions and makes your content hard to see. Don’t overdo it. Use background colours as a contrast to white space and to signify key sections of your website. For example, as a page header, footer or introductory section. Don’t use too many. Unless you have a specific design style that involves using multiple gradient backgrounds, for example, don’t use too many different background colours. Stick to 1 or 2. Now that you have a brief understanding of design, it’s time to learn how to build your website (quite literally). Web development is the process of actually building your website (how to build a website, quite literally). For a long time, a website (at least if built by an agency) would be built in two parts. A designer would design in Photoshop or similar, a developer would then develop the website using the Photoshop designs. Today, building a website is a lot easier and there are lots more options. Attach that domain to hosting. Install that CMS onto your domain. 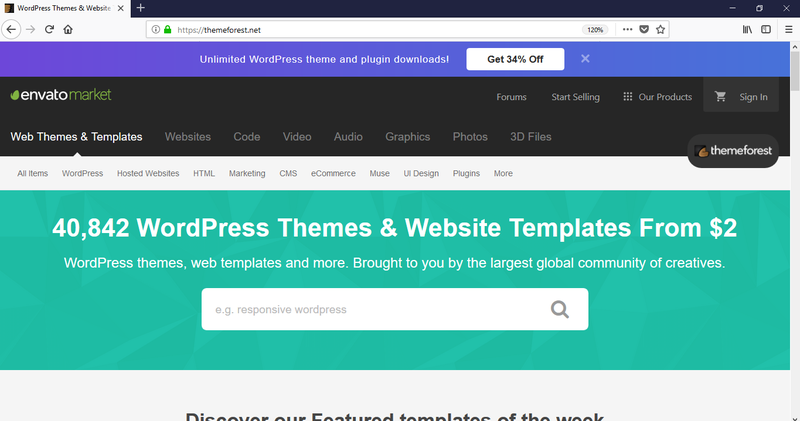 Purchase and install a theme, framework or equivalent for building your website. Obviously this is simplified, but you get the picture. How will the website be developed, what technologies will you use? Avoid dying technologies like Flash. Will the website be fully responsive and mobile friendly? What will the development process look like? Ask if they will provide revisions and tweaks until you are satisfied. How will the website be hosted? Will there be ongoing costs? Do they provide ongoing support for small changes and fixes? What will the timeline be, how long will it take from start to finish? Making sure your website is correctly search engine optimised is essential in helping your business grow online, and an important part of learning how to build a website. Search engine optimisation, is the practice of making your website optimised for the major search engines including Google and Bing. For example, the focus keyword for this post is ‘how to build a website’. I’m looking to make sure that my content can be easily found by those who are looking to build their own website, or understand how the process works. Appearing highly on search engines like Google and Bing is no easy task, but the rewards can be great if your business can consistently be found on the top spots. If your website is built on WordPress, SEO is a whole easier for you. There’s a useful WordPress plugin called Yoast SEO. 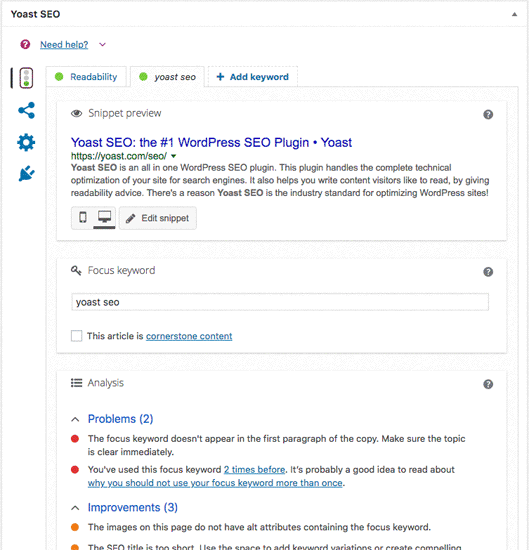 Yoast SEO plugin allows you to easily set and edit the meta data for every page on your website from the WordPress CMS, without touching any code. You can easily set a meta title, meta description and focus keyword for every page. Yoast will also provide you with a ‘Good’ or ‘Bad’ SEO score for each page along with improvements you can make to improve the score. Nothing like some free SEO advice from your WordPress dashboard eh? Our guide on how to build a website wouldn’t be complete, without a good section on ecommerce. Your online store is platform based like, Shopify stores. Your online store uses a CMS and ecommerce integration combination (like WordPress with Woocommerce). 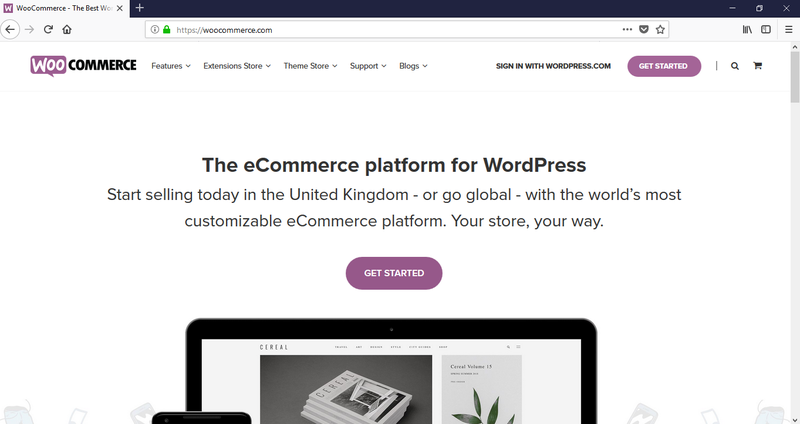 If you’re serious about succeeding with ecommerce, we would recommend you build your store using WordPress & Woocommerce. Typically a customer will visit your website, decide what to purchase, then pay online via your website’s chosen payment processor (like Stripe, for example). What are the ecommerce options? Anyone learning how to build a website, specifically an online store, will likely encounter Shopify at some point. Shopify is a popular online store platform, largely due to its marketing. Shopify are the king of the upsell. Shopify is marketed as a simple, easy all in one solution for running an online store at a low monthly cost. However, this is rarely the case. The basic Shopify themes (available for free) are limited in design and functionality, as a result, most functionality that you need to be successful online will have to be purchased extra as an app. 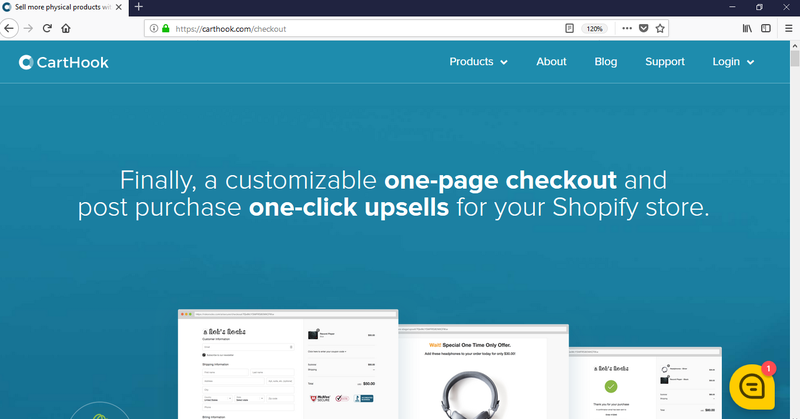 Shopify offer paid themes the same way WordPress do (they cost a lot more), unfortunately due to the nature of the Shopify CMS, they are still very limited in terms of the customisation they offer and how you can build your website. Whilst arguably the point of the Shopify is to provide a solution for non technical shop owner, the cost of a Shopify store is comparable to and in most cases, higher than paying a developer to build an online store using an open source CMS like WordPress. The only difference is, Shopify is sold as pay as you go. Shopify costs can be broken down into two parts. Paying for the platform, and paying for apps on the platform. Shopify costs from $29 to $299 per month, depending on which plan you pick. 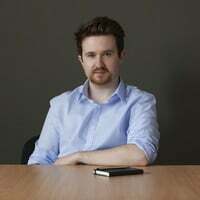 The regular ‘Shopify plan’ costs $79 per month. This is just to exist on the Shopify platform. This cost is not inclusive of VAT or taxes either, so add approx 20% to the cost, and Shopify standard costs $95 per month, or $1150 per year. Let’s break that cost down and look at comparative costs with other providers/platforms. SSL certificates are provided for free by hosts like Siteground, or typically cost about $60 one off cost through GoDaddy, if you host your website through a hosting company. Gift cards can be sold for free through Woocommerce, and there even free plugins to add a bit more free functionality to them. Reporting is provided as standard within Woocommerce and Google Analytics is free to use, so you can just activate enhanced ecommerce reporting to get this functionality for free. There are numerous free cart abandonment plugins for Woocommerce. Woocommerce has free third party shipping plugins for most major providers, including Fedex allowing you to display their shipping costs in real time. Or you can just program them in yourself through the Woocommerce plugin settings. 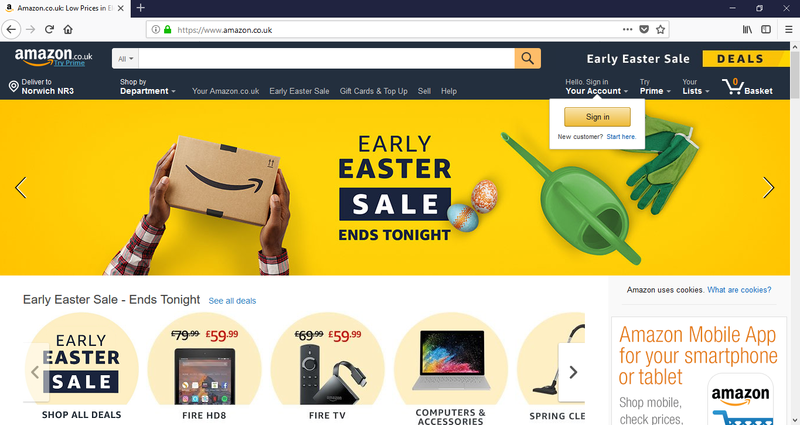 Things like an SSL certificate really are essential for an online store now, so it’s quite crafty to sell it as a monthly cost instead of a one off fee. It seems like $120 extra per month for functionality you need, that can be provided for free or one off costs elsewhere. Shopify advanced costs $240 (with taxes) monthly, or $2880 per annum. These apps provide the basic functionality a small online store will need to be successful. While it’s possible your store could run without them, I’m referring to business owners who actually want to live off their store, or for it to provide a decent second income. The biggest downside for me with Shopify, was the 5 page checkout process. This is bad for conversions, and as the whole point of a Shopify store is to sell online, if it’s hard to do this, it kind of defeats the purpose. This checkout process cannot be altered by a developer. 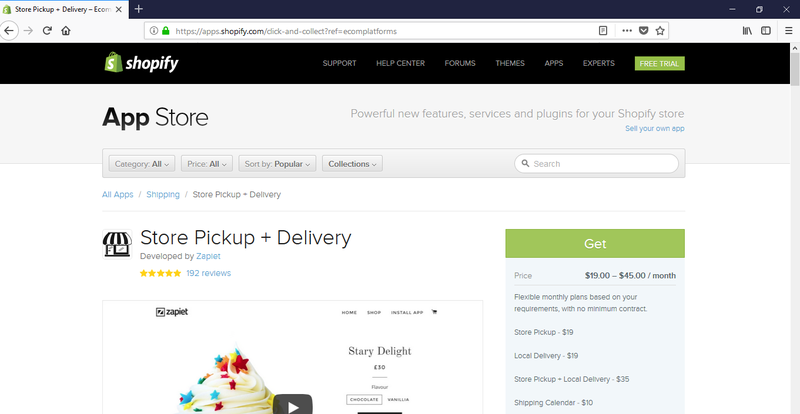 Considering Shopify is a dedicated online store platform, you’d think they would have a user friendly checkout process! This was so much of a problem, that a startup was created to provide a 1 page checkout. 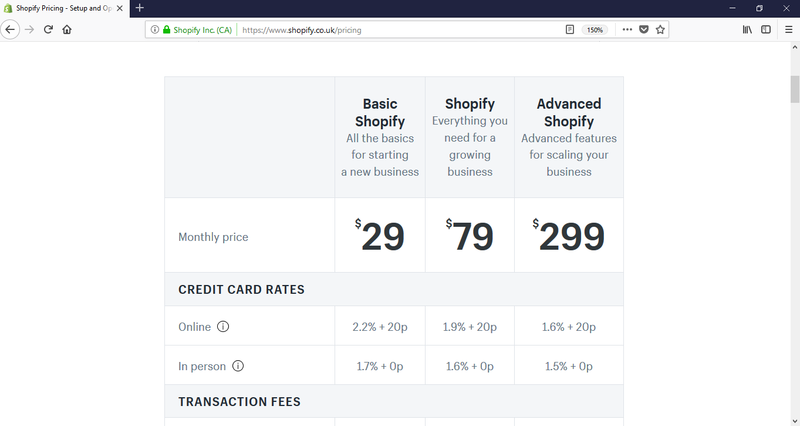 Unfortunately, as great an idea as it is, it costs $300 per month just for a one page checkout, which completely defeats the purpose of using Shopify if you ask me (it costs more than the entire advanced plan), considering Woocommerce provides one page checkout as standard. Woocommerce is the best option on the market for ecommerce right now. Woocommerce is an ecommerce framework that can be bolted onto your WordPress website in the form of a free plugin. Your developer can then use the Woocommerce framework to build and customise an online store that suits your requirements. Because Wocommerce plugs into WordPress (which is open source), you are not limited at all in terms of what you can build and design. All of this functionality is provided free within the Woocommerce framework, available for your developer to configure and customise to meet the needs of your online store. There is a large community of Woocommerce developers constantly developing and releasing new plugins. 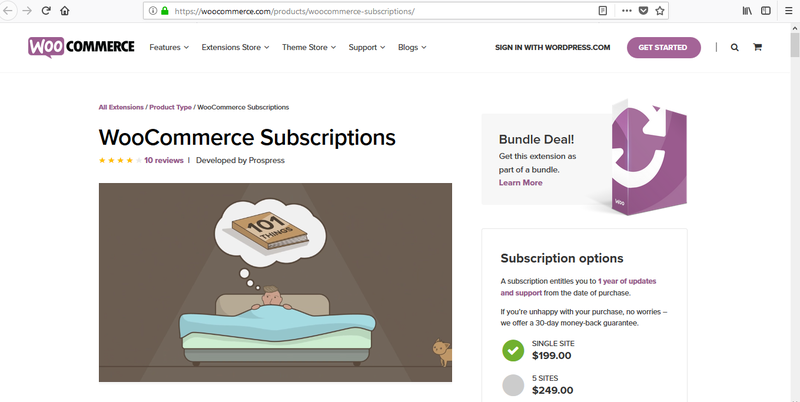 Not only this, but Woocommerce offer paid premium extensions for your Woocommerce store, if you need to expand your online store beyond the realms of day to day ecommerce (which is rare). What can you build with Woocommerce? With the free version of Woocommerce you or your developer can build and customise an online store to sell any kind of product online. Using premium Woocommerce extensions, sold on an annual fee, you can build super cool online ecommerce platforms that typically would cost tens of thousands of dollars to build in the past. What’s the process for building an online store, is it any different? What format is your product data in (spreadsheet, CSV, XML)? How do you want to take payment? Knowing how to build a website is one thing, knowing how to keep it secure is another. Making sure visitors can access and exchange data securely with your website, without putting their data at risk. When accessing a website on the internet, you will access it using something called a ‘protocol’. A protocol is the method used to access, download and exchange data with a website. There are two primary protocols used to access websites on the Internet. The difference between the two is that HTTPS is an encrypted protocol, meaning it’s a secure connection (secured by encryption). Good question. Up until recently, serving your website over HTTPS as opposed to HTTP gave you a small SEO boost. Google wants everyone to visit secure web pages, so it prioritises these web pages in search results. Recently however, Google and Firefox released updates to their web browsers. This update means that if your website doesn’t have an SSL certificate installed (this is how you activate HTTPS on your website) it will display ‘Not secure’ warnings to any visitors who visit a page with a contact form. This isn’t exactly great for business! Would you know if your website was infected with malware if it didn’t display any obvious signs? Probably not! Would it take a customer to let you know, once they’d been redirected to an adult website? Hopefully not if you have your malware checker sorted! What happens if we get a virus or malware? When learning how to build a website, you need to be aware of virus and malware. As you’re probably aware, a nasty virus or script can take down the best of computers or laptops. The same rings true with a website. As we discussed earlier, your website is a collection of files stored on an internet server, so it can become infected with a virus in a similar way to how your home devices can. 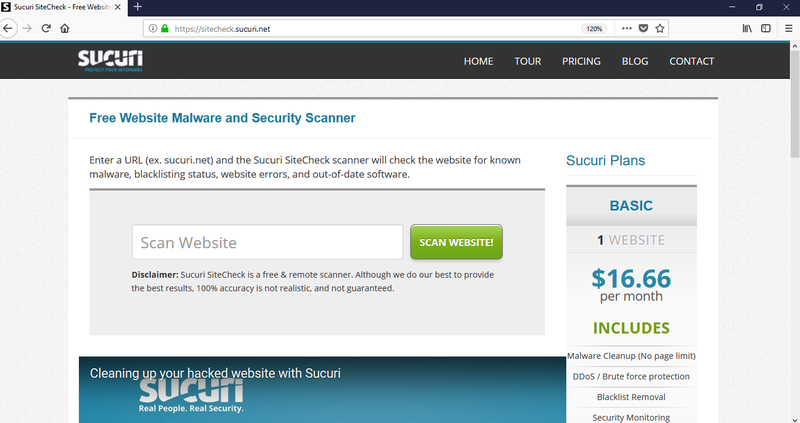 Having to pay a security professional to locate and remove the malware from your website. Having to pay a developer or security professional to restore and repair any damaged files or portions of your website. Potentially losing files, updates and work on your website if it’s necessary to roll back to a previous version, if you don’t have automated backups on and a restore is necessary – your costs of repair are going to get bigger and bigger! We strongly recommend you invest in an affordable malware and virus checker for your website. At Square Internet, we offer an Automated Malware & Virus Checker as part of our WordPress Pro package, available to all small businesses who have their website on WordPress. 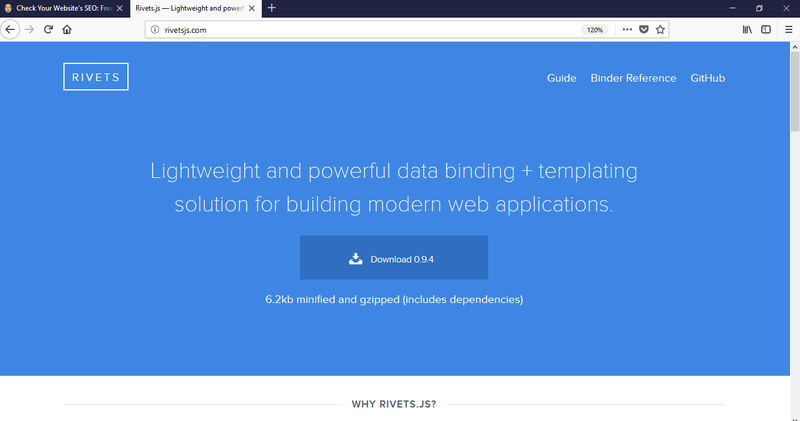 This package contains a ton of other useful tools for maintaining your website and is only 24.99 per month, but a bit more on that shortly. What is maintaining our website? If you don’t look after your computer what happens to it? It gets really slow and things start to break! The same is true with your website, except the results are a lot more public and could end up costing you business. If you’re going to spend money on a high quality business website, it seems stupid that you wouldn’t be prepared to spend a little bit on making sure it’s well maintained and functioning correctly. Make sure your version of WordPress, or CMS, is current and up to date. Keep your plugins up to date using the current version, or deactivated (ideally deleted). Make sure your website is regularly backed up, at the minimum once a week, ideally once a day on an automated schedule. Regularly check your website for viruses and malware. Left unchecked, malware or a malicious script can tank your whole website if left unattended for long enough. 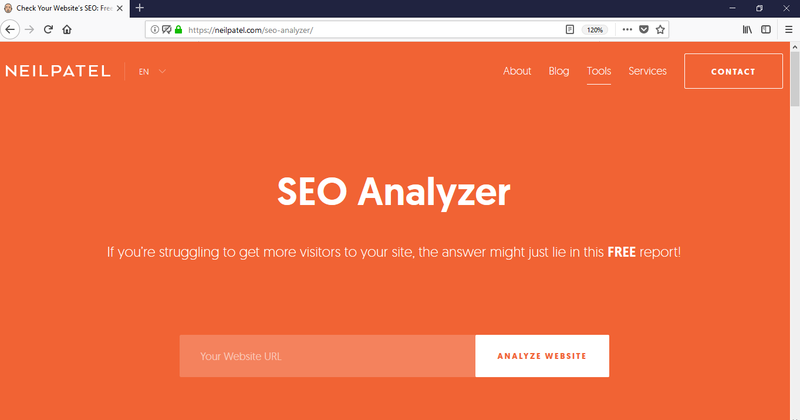 Monitor your traffic and analytics through Google Analytics (or you can use our Analytics Pro dashboard that is built into WordPress Pro). What’s the point of having a website, if you aren’t aware of how it’s performing and if prospective clients may be visiting it? What are the benefits of maintaining our website? A good first impression, which will result in more conversions. Reduced risk of your website breaking, or going down. Maintaining your website day to day, and month to month, will ensure it runs smoothly and doesn’t break. It will also ensure you generate more leads and conversions. Just like with a car or home, if you don’t regularly clean and maintain these things, they break, look bad or perform poorly, costing you time and money in the long run. Now that you hopefully understand the basics of how to build a website, it’s time to cover support. As your business grows, you may need help growing and maintaining your website. If you use WordPress, managing the day to day of your website and completing small changes or fixes will be easy. Determine what you can and can’t do yourself. Find a developer or agency who can help you do the things you can’t do. Ask your developer how you will be charged, and figure out a relationship or payment plan that works for both of you. Ideally, find a developer who can work with you on a pay as you go basis, only charging you for specific tasks or improvements you sign off with them in advance. Avoid a fixed monthly fee until you have the need for ongoing support every month. Hopefully you found this guide useful. Make sure to share it and bookmark it. I’ll be updating the guide over the course of the year with any fresh relevant content that I think might add value for anyone learning how to build a website.